Succulent strips of tender rump steak in a roasted tomato and pepper marinade on a bed of crisp veg, served on one of our soft and toasty oven baked tortillas. 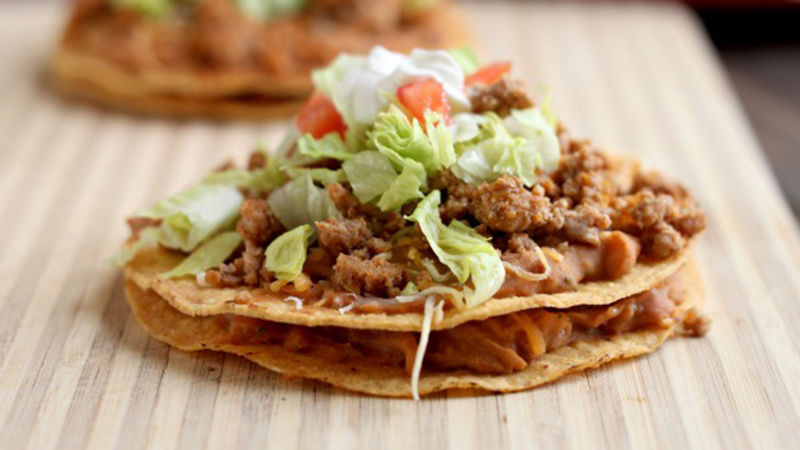 This beef tostada recipe is quick and easy to whip up. Grab a large shallow dish and drizzle in the corn oil. Squeeze in the lime juice, throw in the rind and stir in half of the Roasted Tomato and Pepper Fajitas mix. Fire up the griddle pan or BBQ and brush it generously with oil. Gently sear the marinated rump steaks over a moderate heat (1-2 minutes each side rare, 5-6 minutes each side well done). Let them sit for five minutes then slice into thin melt-in-the-mouth strips. Get the tortillas under the grill or on the BBQ. Our Soft Salsa tortillas are pressed from fresh dough balls and oven baked until they’re soft and toasty, so they only need 20 seconds each side. Rustle up some watercress, rocket, spinach and whatever other salad leaves you have add along with the avacado and red onion and the lime and sourcream sides. 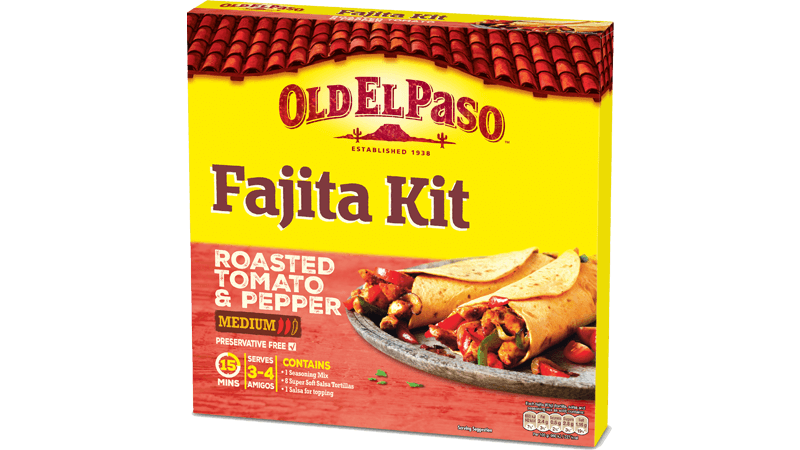 Layer your tortilla with the juicy beef and all your sides, and get stuck into some delicious Mexican tostadas. Buen provecho!